"Festival Pyzza" comes with two slices of cheese and a side salad (no dressing), all served in a styrofoam container. Based off that viral cheese sandwich, Villa Italian Kitchen states that the Festival Pyzza is “made with only the finest fresh ingredients available including sauce made from California tomatoes, hand-stretched dough and premium individually packaged processed cheese product.” Additionally, it’s “served alongside a fresh garden salad of organic mixed baby lettuce varieties (dressing not provided).” And, yes, it’s even presented in a Styrofoam box. 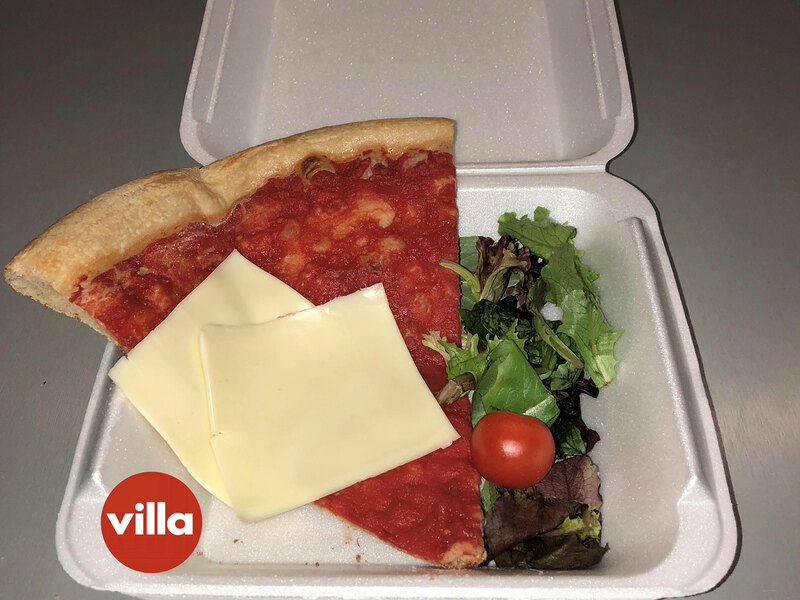 Villa Italian Kitchen also quips that its “for only the wealthiest consumers and industry influencers to enjoy” — and at $25 for the intentionally terrible slice, they aren’t kidding.